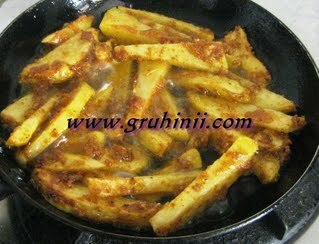 Peal and cut the potatoes into strips of about 1/2 inch thickness and width. Take them into a bowl. Now add all the ingredients except oil and mix well. (No need to add water) Keep it aside for 5 mins. Now heat sufficient oil in a pan for shallow fry. Fry the potatoes in a medium flame until golden brown. 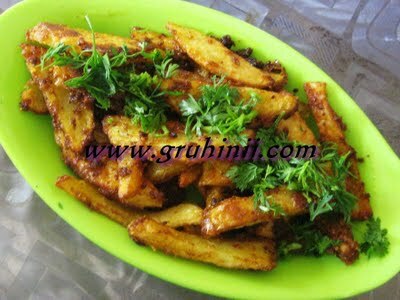 Tasty Chatpati Aloo fry is ready.........Take it into a serving bowl and garnish with chopped coriander leaves.